This is the third of a three-part series that examines our growing understanding of the scope and impacts of microplastics pollution. At several locations around London last winter and spring, researchers stalked the streets counting the number of discarded plastic water bottles they encountered, as if tallying species across a coral reef. Their aim was to see if a new initiative to enlist businesses where people can refill empty bottles with tap water was making a dent in the trash littering the pavement, says marine biologist Heather Koldewey, who oversaw the research. Bottled water use has doubled in the U.K. in the past 15 years. And notably, plastic bottles are abundant along the banks of the River Thames, which carries them out to sea as they gradually break down into ever smaller fragments, tainting the river and the ocean with microplastics that can invade every level of the food chain. Scientists have found these tiny bits of degraded plastic—along with fibers shed from synthetic fabric, and microbeads from cosmetics—lurking throughout the oceans, lakes, soil and even the air. Creatures from plankton to earthworms to humans are eating them, posing a potentially serious health threat to animals and ecosystems. The problem is only expected to balloon as plastic production increases exponentially—from a mere two million metric tons annually in 1950 to more than 300 million metric tons today, and a projected 33 billion metric tons each year by 2050. To get the microplastics problem under control, the world has to take three primary steps, those who study the issue say. In the short term society needs to significantly curtail unnecessary single-use plastic items such as water bottles, plastic shopping bags, straws and utensils. In the medium term governments need to strengthen garbage collection and recycling systems to prevent waste from leaking into the environment between the trash can and the landfill, and to improve recycling rates. In the long run scientists need to devise ways to break plastic down into its most basic units, which can be rebuilt into new plastics or other materials. “There’s definitely no single solution,” says Koldewey, of the Zoological Society of London and a National Geographic Fellow. An attractive, low-hanging target for tackling microplastic pollution is the drink bottles, utensils and bags that are called single-use plastics. Because they are used for convenience, not necessity, they are easier to do without, and the polymers used to make them are among the most commonly produced and found in the environment. Bans are becoming an increasingly popular way of curtailing their use, and limited evidence indicates they do reduce debris. But as Koldewey and others point out, governments that impose bans need to consider: whether such measures are cost-effective; what the environmental impacts of alternative materials might be; and what roadblocks such as, in the case of bottled water, a lack of places to fill up a reusable bottle might hamper the effectiveness of a ban. Koldewey’s own campaign to reduce the use of bottled water in London, called #OneLess, studied possible locations for placing refilling kiosks that would get the most use, such as public transportation hubs. The group also conducted surveys that found most residents would prefer to get water from the tap but were uncomfortable asking stores or restaurants for a free refill. 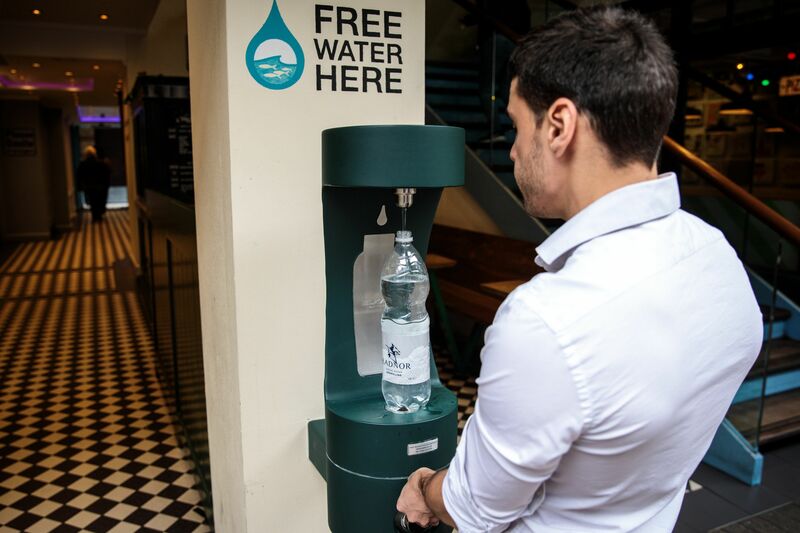 The initiative to sign up businesses that would allow people to refill their bottles was aimed at overcoming that reluctance. Addressing such potential barriers is crucial to changing people’s habits, Koldewey says. His worry is well founded. In Europe only 30 percent of plastic is recycled, whereas in the U.S. it is a measly 9 percent. “Our waste management systems are good, our use of them is pretty lousy,” Koldewey says. The need to expand recycling capacity in places like the U.S. is becoming acute now that China—which has imported 45 percent of all plastic waste intended for recycling since 1992—has closed its doors, leaving many Western countries with nowhere but the landfill to ship their discarded plastic. One key aspect of improving recycling, some experts say, is designing products so they are easier to recycle. Plastic is typically recycled by shredding it, melting it down and molding it into new plastics. But other chemicals added to improve product flexibility or durability, or to simply add color, make it difficult to recycle and reduce the quality of recycled plastics. 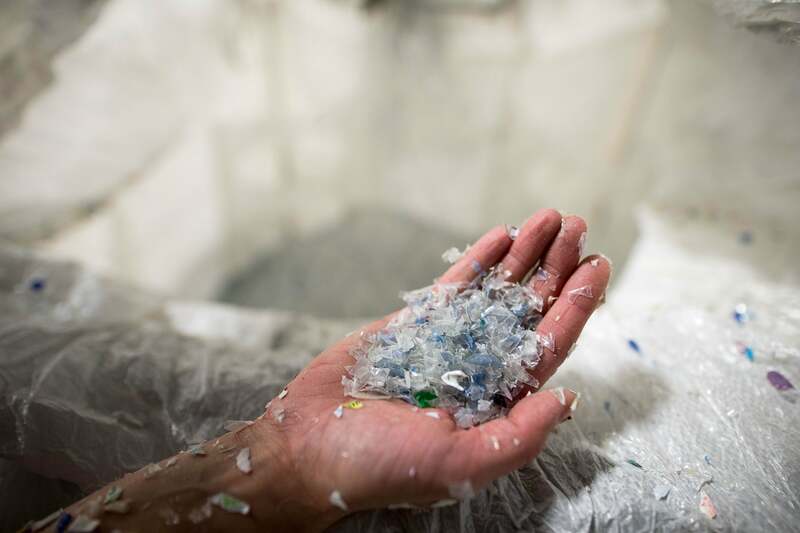 “We’re taking some of what are potentially our most recyclable polymers and rendering them unrecyclable because of inadequate or inappropriate thought at the design stage,” says Richard Thompson, a marine biologist at the University of Plymouth. As an example of a potential remedy, he cites Japan, where all polyethylene terephthalate (PET), used in plastic bottles, is transparent. Clear PET is much easier to recycle than when coloring is added in. “It’s possible to do it,” he says. Curtailing the use of plastic and improving recycling and waste systems would put a major dent in the plastics entering the environment, but not every plastic is easily recyclable and some will still likely make their way into rivers, soil and seas. In the long term some scientists think changing the very nature of the material and the methods of recycling it could be the ultimate solution to the plastic problem. “We need a much more fundamental change in our approach,” Wagner says. For years materials scientists have been trying to create plastics that will biodegrade. Today plastic that is labeled biodegradable can actually only be broken down in specialized facilities that heat it to high temperatures. “In an aquatic environment, in your backyard compost pile, that’s not going anywhere,” says Sherri Mason, a professor of chemistry at the State University of New York at Fredonia. There is a fundamental tension to creating truly biodegradable plastic, because a polymer that will completely degrade into carbon, oxygen and other elements in a lake or soil would not be particularly useful as packaging, say for keeping food on a shelf for months. “There’s a central problem around what we want versus what’s realistic,” says Andrew Dove, a chemist at the University of Birmingham. Thompson thinks biodegradable plastic may need to be confined to products only needed for a short time that are then discarded, such as burger wrappers at sports stadiums or utensils at fast-food restaurants. For the polymers that cannot be unraveled into their most basic molecules, Dove thinks it should be possible to at least chemically break them up into other small molecules that could be used for different purposes, such as fuel or pharmaceuticals. Ideally, scientists would devise chemical reactions that did not require too many harsh compounds and are not too expensive. That would give value to the plastic waste that currently has no, or very little, value. Currently, “it’s much cheaper to burn them or to throw them away in landfills, and that’s the core of the issue,” Wagner says. A few scientists have already begun to look at ways to clean up some of the microplastic waste, which could remain in the environment for at least several hundred years. Cleanup is difficult because the plastic particles are small and varied in nature, and the ecosystems in which they are embedded are vast. Researchers have found enzymes and bacteria that can break down certain types of plastic, but they need to figure out how these might be deployed without any potential negative side effects, such as producing greenhouse gases. Agroecologist Esperanza Huerta Lwanga, of Wageningen University in the Netherlands and the College of the Southern Frontier in Mexico, for example, hopes to test whether earthworms that possess plastic-munching bacteria in their guts might be able to remediate soil littered with plastic from the burning of trash.